Come to our commercial truck dealership if you want to buy where the fleets buy with confidence. 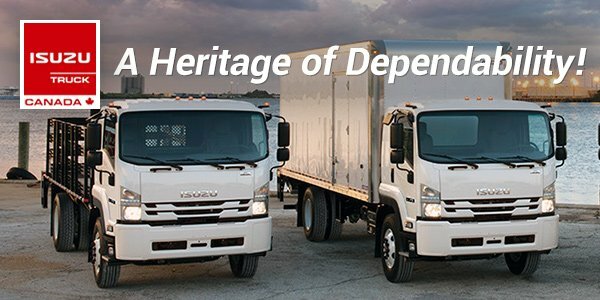 We serve customers in Etobicoke, Toronto, Mississauga, and the rest of the Greater Toronto Area with quality new and used commercial trucks and vans from Isuzu and Chevrolet. If your business needs a dump truck, straight truck, hook lift truck, or commercial van right away, you can choose one of our upfit commercial trucks ready to go for immediate delivery. We can also customize any of our trucks and vans with whatever bodies and set up you want. As a Chevrolet truck dealer in the GTA, you can also browse our selection of Chevrolet pickup trucks, dump trucks cargo vans, and cube vans.